Meet two-day-old Leo, a sweet little guy who was surrounded by so many people and so much love when I met him and his parents. I met Alexis and Steffan and their brand new son at CHI-St. Luke’s Hospital in The Woodlands, along with lots of family who were thrilled to welcome this baby boy. Just look how gorgeous Alexis is just 48 hours after birth – that new mama glow is magical. 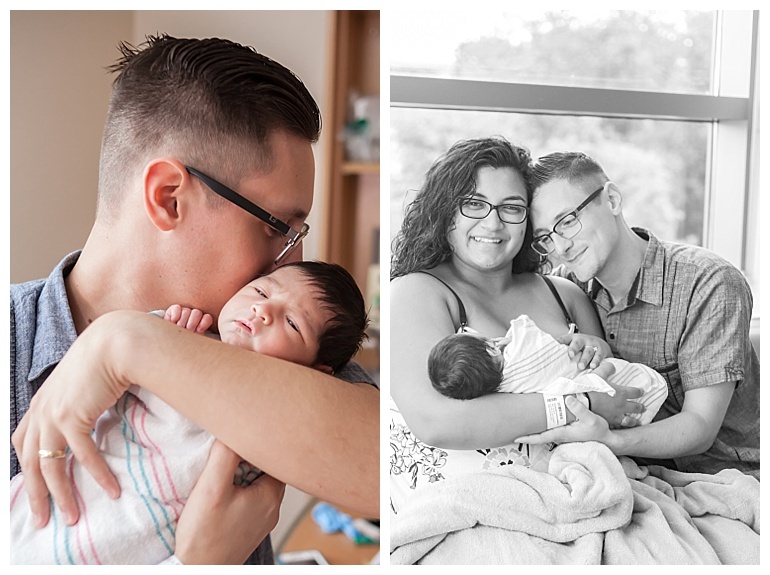 Little Leo slept peacefully during most of the photo session, but he did take a peek at the camera and his parents toward the end. His deep, dark eyes popped open and it wasn’t long before he was ready to nurse and snuggle with Alexis. These slow-paced sessions are designed specifically to capture new parents soaking in the beauty of their new baby. There isn’t a whole lot of posing or directing involved. In fact, it’s pretty amazing how very little direction parents need to create incredibly beautiful moments with a newborn. One guaranteed favorite memory is when I ask mamas to lean in and smell that incredible newborn scent. There’s just nothing like taking a deep breath of newborn skin and hair, and feeling so relieved and joyful that baby is finally here! As I was photographing this sweet family, I explained to Alexis that every Fresh 48 photo session is a different. Sometimes dads are afraid to hold baby, fearing that tiny little bundle will break at any moment. Mamas are sometimes exhausted from birth and learning to breastfeed, so they stay in the hospital bed during the session. The opposite can also happen. Some dads are proud and protective of baby, hardly wanting to put him or her down for a second. I’ve met mamas who are thrilled to not feel the heaviness and exhaustion of pregnancy anymore, and are ready to be up and moving. One aspect of every single hospital newborn session that remains the same is that gentle, beautiful smile that happens every time a new parent looks down at their newborn. 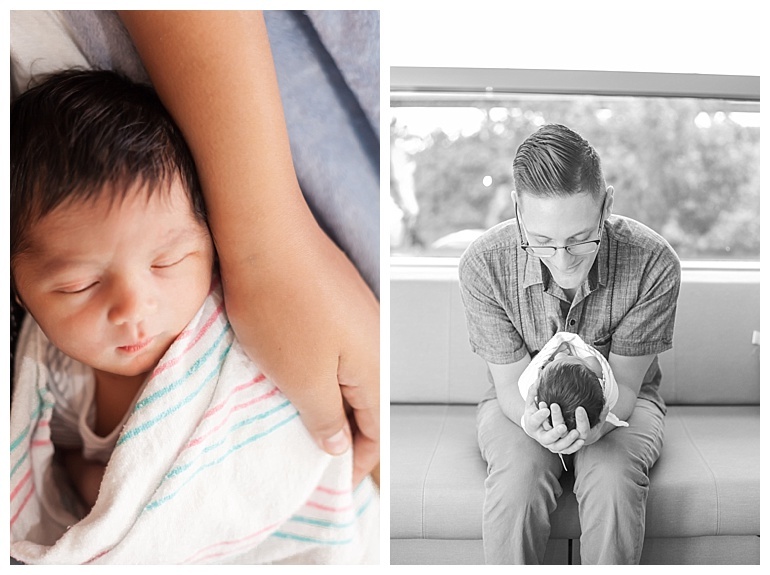 Alexis and Steffan are so crazy in love with this little guy – and it shows on their faces in every photo! 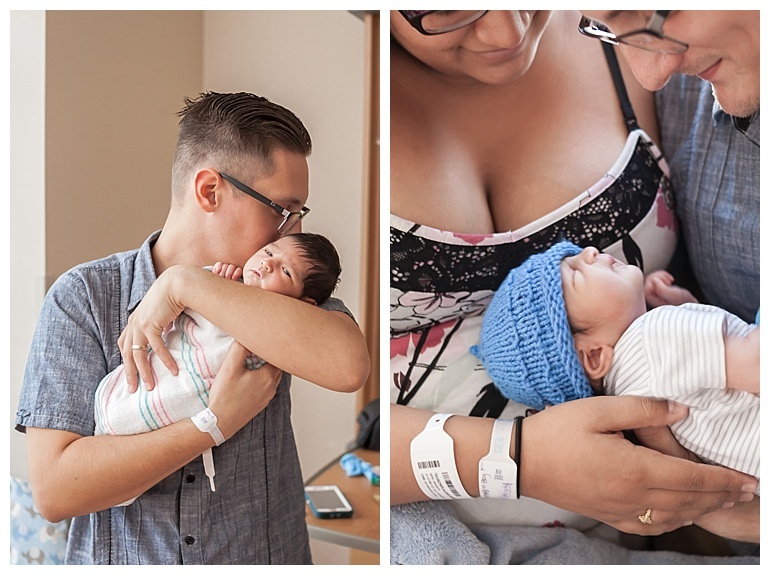 Although I know baby cuddles are the only thing on your mind after birth, one thing that makes Fresh 48 photos extra memorable and beautiful is planning your outfit ahead of time. I have to say, Steffan definitely takes the award for best dressed new dad! 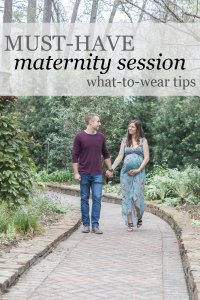 Don’t miss these must-have maternity style tips! If you’re pregnant, this guide has everything you need for gorgeous photos you’ll love forever! His chambray button down was a perfect choice. Solid colors are timeless and you don’t have to worry about color cast on Leo’s delicate skin. It also helps tremendously for new parents to avoid clothing with a busy pattern or bright colors because they can distract from baby. And oh, this gorgeous nursing gown that Alexis wore… I just loved everything about it. The pattern is delicate and feminine, with dark colors that don’t take away from baby’s tiny features. The lace detailing at the top adds an extra touch of beauty. Her casual, lovely curls flowing down over her shoulders are beautiful. 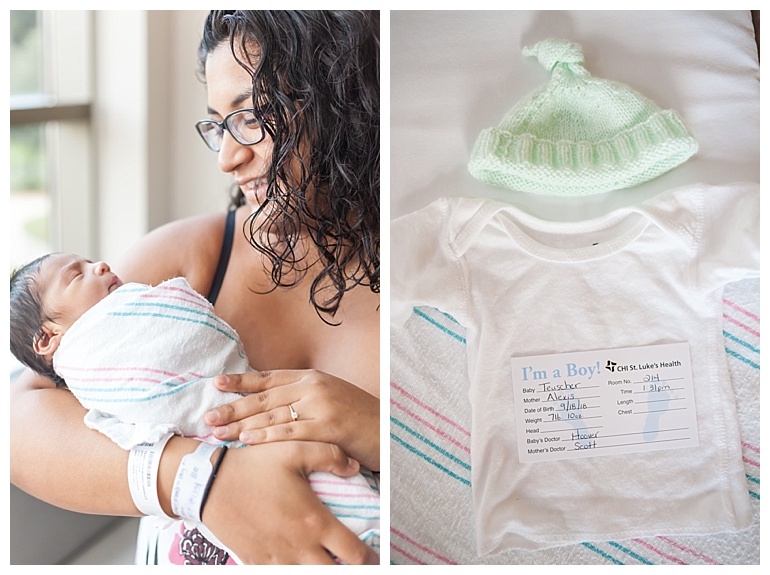 It took her less than a minute to change out of this hospital gown and into this outfit – and what a lovely result! No doubt the first 48 hours with Leo have forever changed Alexis and Steffan. 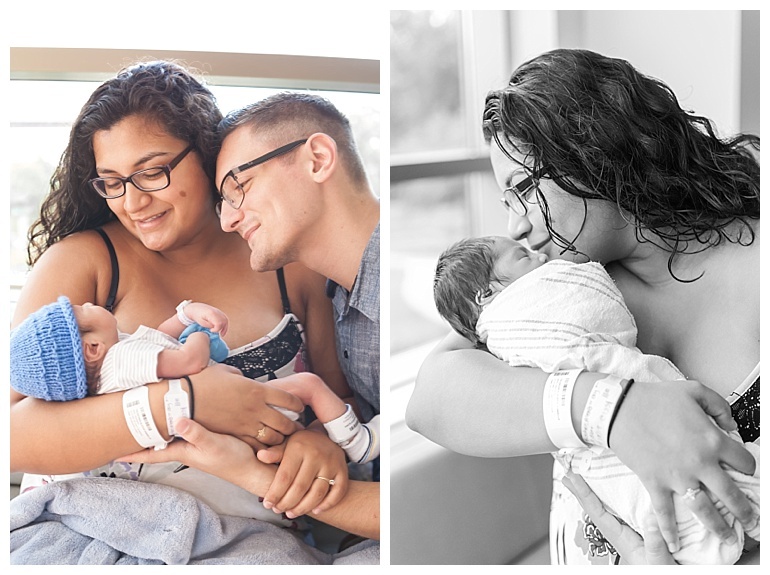 Now they know the incredible love a parent feels for their child – and these amazing moments are frozen in time for this lovely family of three. I specialize in a luxury photo experience for mamas and mamas-to-be so that you can look back on these amazing memories for a lifetime. 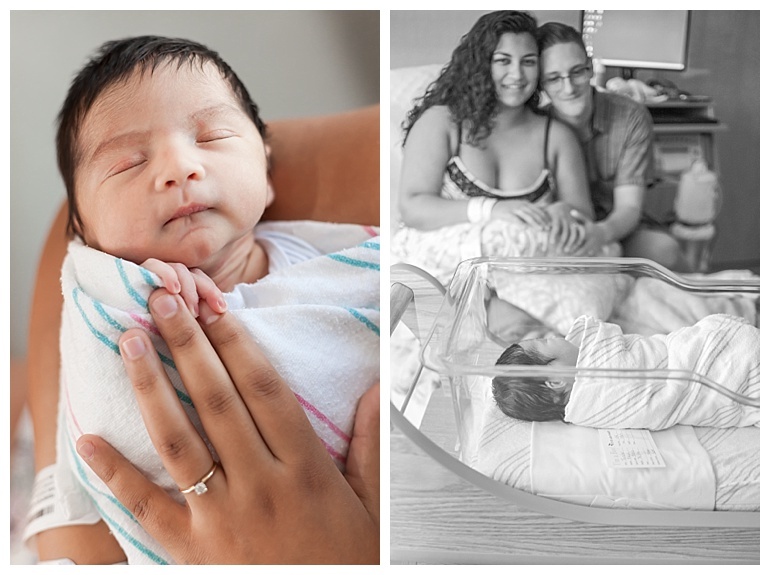 Maternity, Fresh 48, In-home and Family photo sessions are offered all around the Houston area. Ready to chat about your own magical maternity or newborn session? Click the Book Now button below to contact me!